When you can´t take the beach anymore and you have had enough of the pool, be sure to remember that there are tons of activities on the island that cater to just about everyone. Some activities are specific to the ocean such as sailing or scuba diving, but there are also a wide variety of other fun cheap things to do. The Celia Cruz is a glass-bottom boat that departs from Correlejo (north end of the island) and heads over the water to the island of Lobos. Viewing the marine life through the 16 windows below the water line is a great way to get some really good pictures that the perfect vacation should produce. Upon arrival there is the availability of jet skis and other water sports as well as having a lunch prepared on-board. The tour boat will return to port before 4:30pm. There is little shade on Lobos Island so be sure to protect yourself from the sun. Another trip to Lobos Island is the tour de Caminata, a walking excursion that lasts 3.5 hours and you will be able to see volcanoes up close and also have a great view of Fuerteventura and a chance for some really memorable pictures. The volcano´s summit sits at 124 meters and is a great spot to get a look around. You can even look into the crater or have look at the only lighthouse on the island. After enjoying a picnic in the shade the guides will bring you back safely to the island having enjoyed and learned a lot about the animals and wildlife along the way. The Baku water park is a great place to unwind and enjoy the simple joy of relaxing in the shade while the kiddies go up and down the slides all day long. There are also wading pools, wave pools and baby areas that are great for the large family. There many food vendors there and you are sure to leave with a great memory and a longing to come again some time soon. 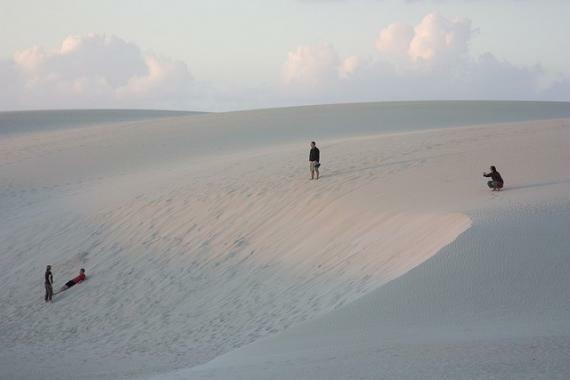 For those of you that are a little more adventurous or just a bit younger there are 4 wheeler and dune buggy trails that cover a large portion of the sand dunes west of Corralejo. All that is required is a drivers license and the spirit of adventure. With over 60 kilometers of trails awaiting you, this a great way to let loose and really explore. Be sure to bring some snacks with you as there is no food included. You will be able to jump off and take dip in the lagoons at Cotillo as well. A sure fire way to explore and really have a great time on your holidays. 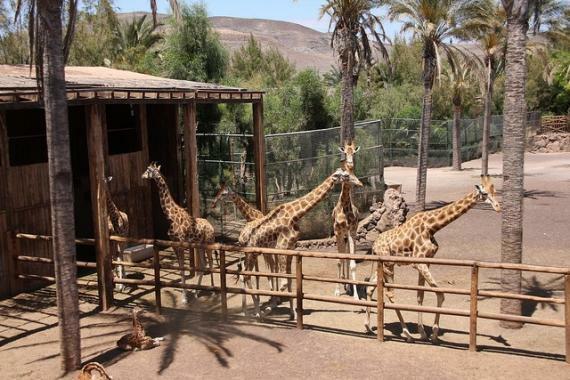 The Oasis Safari Park is the zoo and you can have a great time learning about, and meeting the many animals that call Fuerteventura home. You will be very close to giraffes, elephants and even hold some very cute lemurs. There are also camel safaris that originate from the zoo and travel though the area surrounding. There is a large selection of birds and birds-of-prey as well as a show dedicated to them. Many animals from the African continent are also here such as Kudu, Impala, monkeys, camels, even hippos! You will leave having had a great day and the kids will thank you again and again for the great memories and the wonderful experience. For the sport fisherman in you, there are also day-long fishing trips that cater to anyone interested in getting the one that didn´t get away. This Cata 356, 14-meter long boat is set up with a well-experienced and very helpful crew as well as many rods, reels and bait aimed especially towards the types of fish located here and near the island. There are many different types of fish to go for such as tuna, wahoo, dorada, blue and white marlin and even bonito which means pretty. If you are looking for that perfect 'pretty' fish, then this is a journey that even Capitan Ahab couldn't pass up. 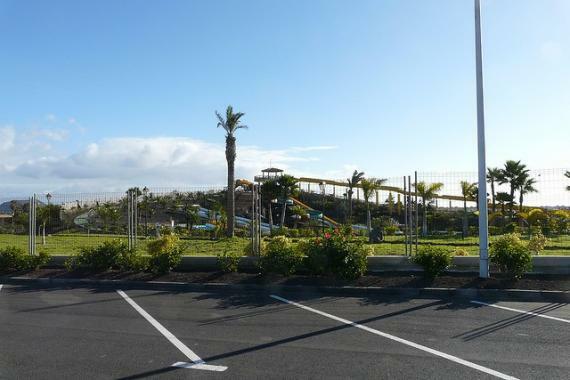 The 18 hole golf course located in Caleta de Fuste, Las Playitas, is a great way to keep in shape and still enjoy the amazing view of the surf and the sun. Normal holes of golf and driving ranges are a few options at this resort. All-day passes are available for the hard-core golfers and also include a three-course lunch prepared for you in the local restaurant Luigi. Unlimited golfing is a great way to really enjoy yourself and work on that back-swing without any other stress, except how many times around the course you would like to go! ©2019 - travelfuerteventura.net All Rights Reserved.